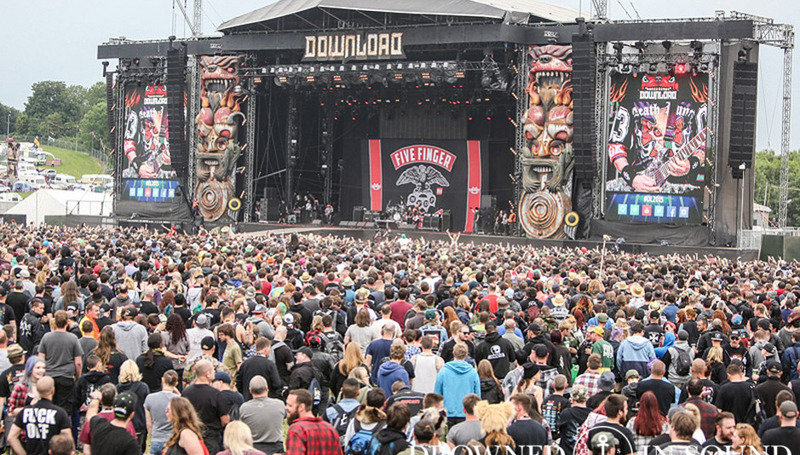 In our tenth instalment looking at how to organise a music festival, DiS goes behind the scenes with Download Festival's main booker and promoter Andy Copping. DiS: How did you first become involved with Download? Andy Copping: I was originally approached in 2002. I was working at Rock City in Nottingham and we’d started putting on outdoor events, then I got headhunted by the company that owns Download. One of the main roles for me was to help them relaunch a rock festival at Donington Park. I had a little bit of experience from what I’d done in Nottingham and it really just grew from there. Were there any major pitfalls to overcome bearing in mind the seven-year gap between Monsters Of Rock and Download? The whole idea was to create an event that was the son of Monsters Of Rock. But we had to move it kicking and screaming into the modern age. I loved Monsters of Rock, it was a phenomenal festival, but what had happened was over the years it had run its course. It hadn’t really moved with the times. There were a number of bands that wouldn’t play Monsters Of Rock, bands like Faith No More, Nirvana, Pearl Jam and the Red Hot Chili Peppers. All big acts at the time and probably at the peak of their popularity. They just didn’t feel it was in their best interests to be associated with Monsters Of Rock. So when we launched Download we wanted to tip our hat to the old days but also really concentrate on what was now; what are the contemporary acts out there and who are the meaningful bands in rock at the moment. That was one of the main pitfalls. It had been seven years since Monsters Of Rock and we wanted to create this new festival but we had to make sure we were young and fresh. The festival started as a two-day event. Had it always been your intention for it to grow into the week long event it is today? To be honest, absolutely not! We did start with two days and two stages back in 2003. So to see the way the festival has grown...we’ve got five stages and live wrestling in as part of the programme now over three jam-packed days, and there’s that much going on it actually feels like a month sometimes! There’s a week’s worth of camping. People book their annual holidays to coincide with the festival - their rock music holiday for the year. I’m really proud of how it’s grown and would never take anything for granted. We’re lucky that Download means a lot to so many people. You’re taking Download over to Spain this year. Are you planning on taking the festival to any other countries? We launched in France last year so Paris has its second event this year. This is the first year we’ve taken it to Spain so we’ll see how that goes, and there may be an announcement shortly of us taking the festival somewhere else. We are looking at other markets where Download may go so watch this space! The Download brand is really far reaching. When do you start preparing for next year’s festival? We’ve already started preparing for 2018. I was already booking bands for next year’s festival in March of this year. Also back in March, I was talking to a potential headliner for 2019 so we do plan things that far ahead. When we first started this festival we finished in June, had a little bit of time off then wouldn’t start talking about the following year until September. You can’t do that nowadays. You’ve got to be on top of it. Bands are getting their tour schedules together way in front and we’ve got to make sure we’re ahead of the game. Are there any plans to grow or expand the festival even further? I’d never say never, but I do think where we are at the moment is pretty much spot on. We’ve moved things around the site a little bit this year, particularly in the backstage and guest areas. We’ve moved a couple of stages around. We’re always trying to evolve. Always striving to make the festival better. We never believe that we’ve got it 100% right. We’re always talking to the fans about what we can do to improve the festival and we do that almost on a daily basis. Their input is so important to what the festival is all about. When we first started talking about Download in 2002 with the plan to launch it the following year, it was always our aim to get the fans involved from the outset. They embrace the festival. It’s as important to them as it is to us and we need their input. There have been many proud moments over the years. Obviously launching in 2003 was big. Getting Metallica to come and play The Black Album in 2012 was amazing. Getting Linkin Park to play Hybrid Theory was great. Elevating Slipknot up to be a headliner in 2009. Same with Avenged Sevenfold when we moved them up. Getting AC/DC in 2010 was a big deal. Getting wrestling in as part of what we do here; we brought that in last year and it was a big success so it’s back again this year. All of those things were big moments for us and I’m proud of every single one of them. Who do you see as being Download’s main competitors in the festival market? Our main competition is us because we’re always challenging ourselves. We cannot rest on our laurels. We have to make the festival better every year. So when we look out there at what we perceive to be the competition, it’s more to do with what’s in our heads and what we can do to make our festival right. What advice would you give to someone wanting to start their own festival? Start small and be prepared to give up your life because everything you do will be geared around putting this festival on. Have the tenacity and will power to just stick at it but start small and build it up. For more information on Download visit their official website.